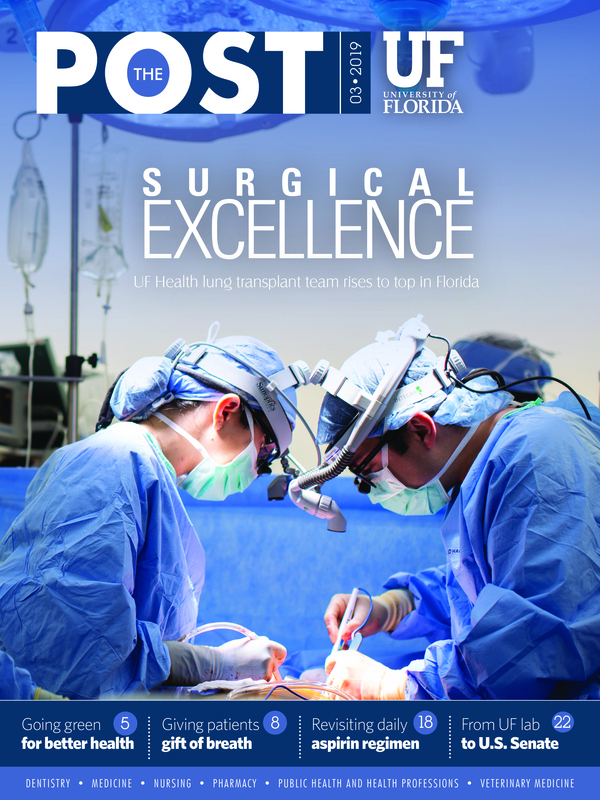 UF Health pediatric heart transplant candidate Antonio Smith enjoyed a special moment with UF Health ShandsCair flight team members in front of UF Health Shands Hospital. 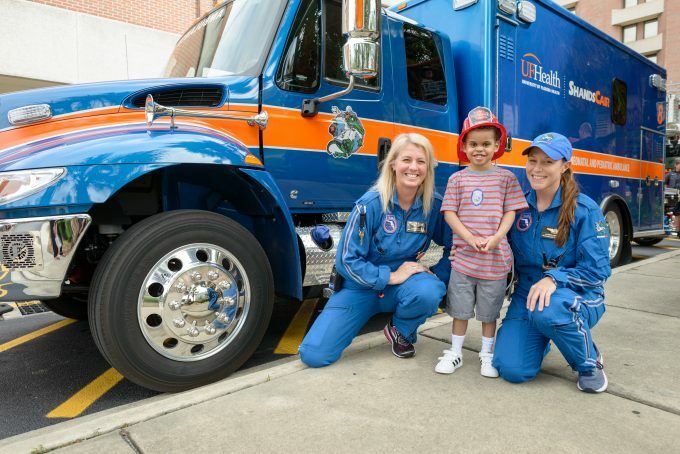 The UF Health Congenital Heart Center team made this wish come true for Antonio knowing his love for fire engines and ambulances, and the first responders who save lives every day. 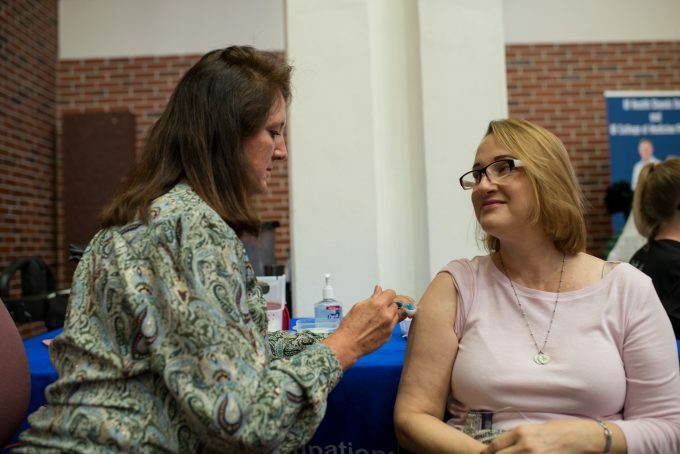 Nicole Iovine, M.D., Ph.D., a UF Health infectious disease expert, practices what she preaches about preventing the flu virus from spreading by getting her flu shot in the UF Health Shands Hospital Atrium. 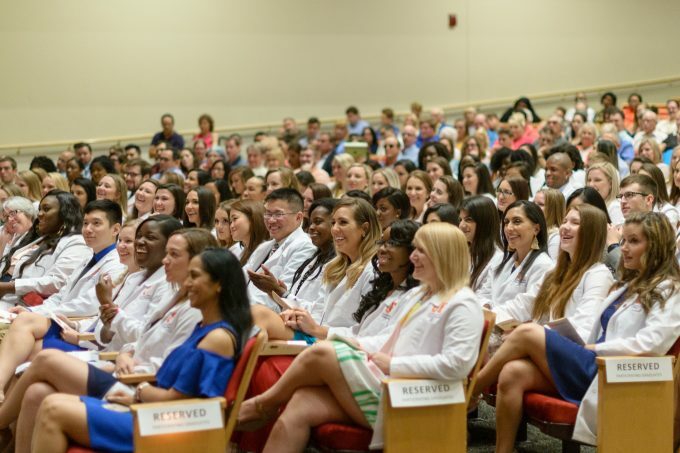 UF College of Nursing students enjoy a laugh during their Pinning Ceremony, a milestone moment in their professional career.